VIDEO - While the Brazilian Carnival draws hundreds of thousands of tourists every year, in recent years it has been driving away some local residents. Jewish residents of Rio de Janeiro, one of the main centers of celebration, have been leaving their homes and moving to a nearby resort town so as not to expose their children to immodest sights. The traditional carnival was held in Brazil this past week, and was quite a nuisance for the 7,000 Orthodox Jews living in the city of Rio de Janeiro. Local residents say that passersby on the street were exposed, against their will, to dancers in revealing clothes which a religious person cannot tolerate. They add that on certain hours they were forced to prevent their children from going outside, causing many families to live under curfew. The solution they have found is scheduling their annual vacation for the carnival days, as February is one of the summer months in Brazil. As far as they are concerned, this is the only way to protect their children. The favored destination is the nearby resort town of Teresópolis, where most members of the local Jewish community escape to. 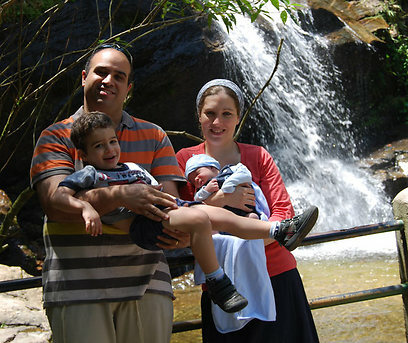 Yishai Bonnie, a Bnei Akiva emissary in Rio de Janeiro, says that many families left for the serene resort town last Friday, before the start of the celebrations, and that many others joined them after Shabbat. 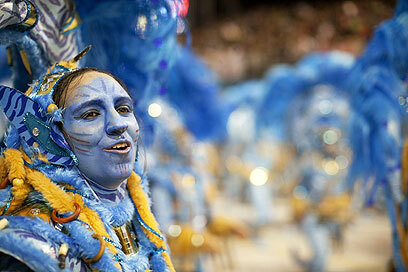 "The Rio Carnival is known to be very extreme," he explains. "There are drunks on the streets, and it’s a real danger – not to mention the modesty issues." He adds that the carnival takes place all over Rio and cannot be avoided. "Last year we escaped to Sao Paolo," says Bonnie, "but this time I traveled with my wife and kids to a nearby town for several days." In a conversation from Teresópolis, he reports that most members of his community, "Bar Ilan-Moriah," which includes some 1,000 Jews, traveled there too and that a kosher restaurant from Rio even opened a branch there. This year the carnival was held at the beginning of the Jewish month of Adar, and as far as the emissary is concerned, this is an opportunity to highlight the differences between the Jewish and Brazilian celebrations. "The Jewish people celebrate the real joy, the complete joy ahead of the redemption of Passover, a deeper joy inside one's soul," he says. "The Purim costumes and the carnival consumes are the exact opposite of each other. "On Purim, our joy makes us present gifts to the poor and bring fellowmen closer – compared to the joy of the carnival, which is promiscuous and brutish." See all talkbacks "Jews flee Rio during carnival "